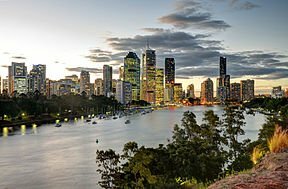 Brisbane (/ˈbrɪzbən/ ( listen)) is the capital of and the most populated city in the Australian state of Queensland, and the third most populous city in Australia. 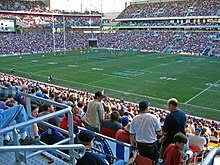 Brisbane's metropolitan area has a population of 2.5 million, and the South East Queensland region, centred on Brisbane, encompasses a population of more than 3.5 million. The Brisbane central business district stands on the historic European settlement and is situated inside a peninsula of the Brisbane River, about 15 kilometres (9 miles) from its mouth at Moreton Bay. 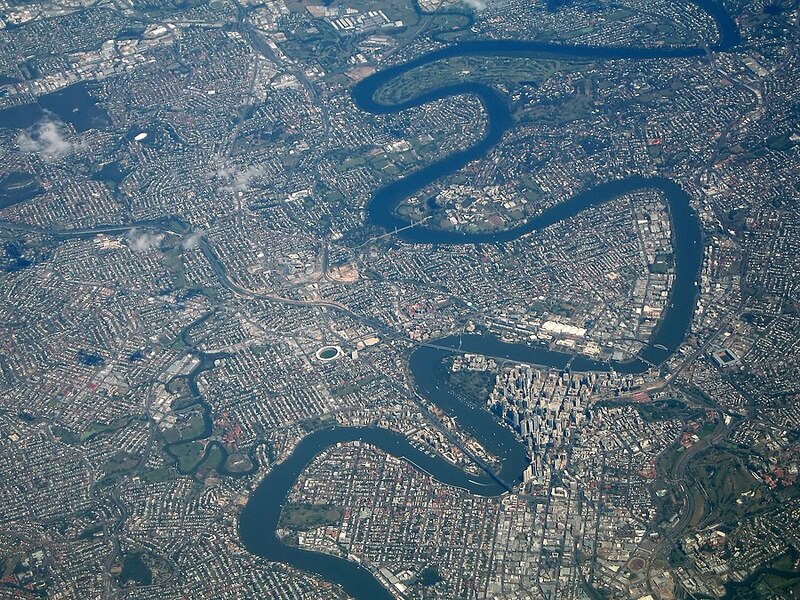 The metropolitan area extends in all directions along the floodplain of the Brisbane River Valley between Moreton Bay and the Great Dividing Range, sprawling across several of Australia's most populous local government areas (LGAs)—most centrally the City of Brisbane, which is by far the most populous LGA in the nation. The demonym of Brisbane is "Brisbanite". There are three major TAFE colleges in Brisbane; the Brisbane North Institute of TAFE, the Metropolitan South Institute of TAFE, and the Southbank Institute of TAFE. 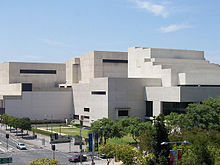 Brisbane is also home to numerous other independent tertiary providers, including the Australian College of Natural Medicine, the Queensland Theological College, the Brisbane College of Theology, (SAE Institute), , Jschool: Journalism Education & Training, JMC Academy, and American College. Harriette Pilbeam, known professionally as Hatchie, is a Brisbane singer-songwriter and musician. She attended Brisbane Girls Grammar School from 2006-2010. Twoset Violin, a duo of violinists Brett Yang and Eddy Chen -- both from Brisbane. They perform on YouTube and live, combining virtuosic violin playing and comedy. ^ "Great Circle Distance between BRISBANE and SYDNEY". Geoscience Australia. March 2004. ^ "Great Circle Distance between BRISBANE and CANBERRA". Geoscience Australia. March 2004. ^ "Great Circle Distance between BRISBANE and MELBOURNE". Geoscience Australia. March 2004. ^ "Great Circle Distance between BRISBANE and ADELAIDE". Geoscience Australia. March 2004. ^ "Great Circle Distance between BRISBANE and PERTH". Geoscience Australia. March 2004. ^ Tapper, Andrew; Tapper, Nigel (2006). "Sub-Synoptic-Scale Processes and Phenomena". In Gray, Kathleen. The weather and climate of Australia and New Zealand (Second ed.). 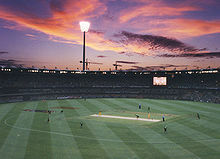 Melbourne, Australia: Oxford University Press. p. 346. ISBN 978-0-19-558466-0. ^ Remmer, Dennis (2014). BNE – The Definitive Archive: Brisbane Independent Electronic Music Production 1979-2014. Transmission Communications. p. 41. ISBN 9780646921501. ^ "The Australian Radio Guide - AM (Mediumwave) Stations - Queensland". www.radioheritage.net. Retrieved 2018-11-30.